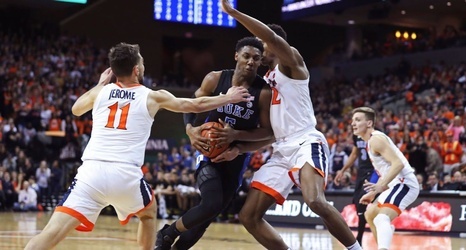 Tony Bennett's team put together an exemplary effort against Duke on Saturday in their 81-71 loss. The highlights (Duke's 61 percent clip from the 3-point line, Zion Williamson's wild block) rightfully led to additional adoration for a Blue Devils team that looks the part of a national champion. But Virginia's strategy limited Duke's opportunities around the rim. The Cavaliers forced turnovers on nearly one-fourth of Duke's possessions.